Getting to Mauritius on the cheap can be a bit of a challenge, regardless of the departure location. After all, it’s an Indian Ocean island with some 2000km, or 1300mi to the African mainland. There are however options, and opportunities out there, to at least make it cheaper. Generally speaking, flexibility is your friend. The more flexible you are with your dates, the cheaper tickets you can find. Some 30% of tourists visiting Mauritius any given year come from France, who represents 50% of all European tourists visiting Mauritius every year. Naturally, some of the best flight bargains to be found are flights either originating in France, or at one point connecting with a major airport in France. Another big market, as the Government of Mauritius would call it, is Germany, with some 60,000 Germans finding their way to Mauritius every year. Condor is the number one low cost airline in Germany, serving Mauritius SSR International Airport, and run scheduled flights to Mauritius from all over Europe, year round. Frankfurt Airport (Frankfurt am Main) is the Condor hub in Europe, and as such, Frankfurt tend to be the best departure airport for cheap flights to Mauritius. If you’re flexible with your dates, you might be able to come across a return ticket for as little as €300 in off peak periods. 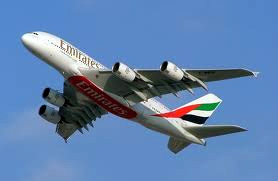 Fore more comfort, fly in style with Emirates, who serves Mauritius daily from the Emirates hub in Dubai. Best deal departure airports in Europe seems to be from the major UK airports, such as London and Manchester, but major continental cities in Europe might be worth checking out, especially Paris Charles de Gaulle and Amsterdam Schiphol. Some 80,000 South Africans travel to Mauritus every year, and naturally, flights from South Africa offer some competitive pricing if flying from the African mainland. Airports of Mauritius manages SSR International Airport and they have a comprehensive list of all airlines operating out of Mauritius. Here you can also find arrival and departure times and general terminal info.